Lake Russell is a 26,650-acre impoundment on the Savannah River, perfect for all types of water sports. Nearly 1,500 acres of the lake are flooded timber, an excellent habitat for largemouth bass, bream, crappie and catfish. 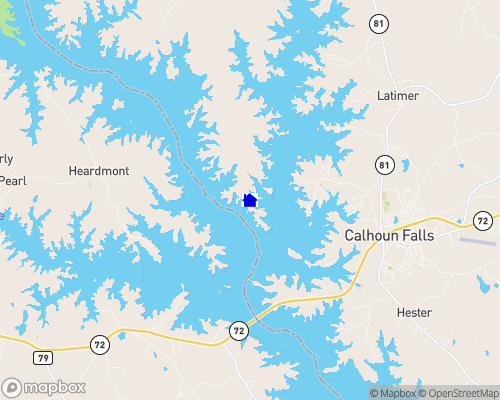 There are 12 public access points on the South Carolina side of the lake, including Calhoun Falls State Recreation Area. Depth of Lake: 165 ft.